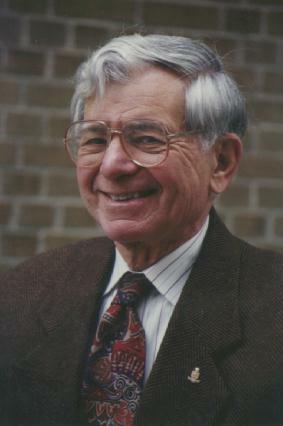 Calvin C. (Kelly) Gotlieb has been called the "Father of Computing" in Canada. He received his MA in 1944 and his PhD in 1947 from the University of Toronto. In 1948, he was part of the first team in Canada assembled to design and construct digital computers and to provide computing services. In that year, he co-founded the original Computation Centre at the University of Toronto. He established the first university credit course on computing in Canada in 1950, and offered the first Canadian graduate courses in computing in 1951. In 1964, he founded the first graduate department of Computer Science in Canada, at the University of Toronto. Professor Gotlieb has over a hundred publications in many areas of Computer Science and Information Processing, and has co-authored four books:	"High Speed Data Processing", "Social Issues in Computing", "Data Types and Structures", and "The Economics of Computers". Professor Gotlieb is a Fellow of the Royal Society of Canada, the British Computer Society and the Association for Computing Machinery. He received honorary DMath and DEng degrees from the University of Waterloo and the Technical University of Nova Scotia respectively. In 1994, he was awarded the Isaac L. Auerbach Medal by the International Federation of Information Processing Societies, and in 1996 the Order of Canada award. He is currently Professor Emeritus in Computer Science and in the Faculty of Information Studies at the University of Toronto.